Forgot to mention yesterday that it was the anniversary of the Day the Music Died as Don MacLean called it in his 1971 mega-hit American Pie. 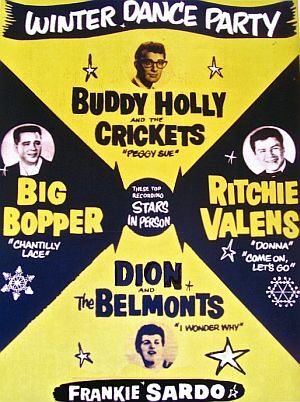 It was early in the morning on February 3, 1959 that the small plane carrying Buddy Holly, Richie Valens and J.P. “The Big Bopper” Richardson to their next show in North Dakota crashed into an Iowa cornfield, killing all three. Holly and Valens were key players in the transition from the early days of rock and roll to the next generation that was marked by the rise of the Beatles and the Rolling Stones, both bands that very heavily influenced in their early work by the music of Buddy Holly. Think of modern rock/pop music being a genealogy chart, a family tree with Buddy Holly as a parent and his offspring and their children and so on all branching out in front of him. Most likely, he is a direct musical ancestor of many artists you listen to today, even though they may not even recognize it themselves because each subsequent generation adds lines of influence from which they synthesize their own music. Just like Buddy Holly was the result of country music, folk blues and early rock and roll, each generation is a distinctly unique blend. So, 59 years ago it was a huge loss when that plane crashed outside Clear Lake, Iowa. 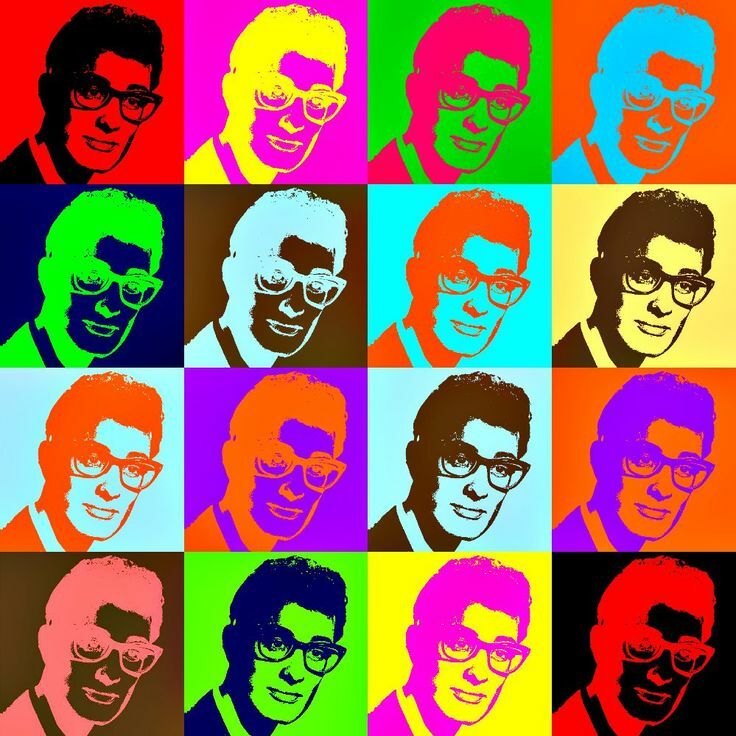 I have to admit that I sometimes overlook Buddy Holly, shifting him into a hidden file in my mind, until I am reminded by something, such as yesterday’s anniversary just how unique an artist he was and how much I enjoyed his music. I’ve spent much of this morning revisiting his discography, listening to songs that had a huge impact on so many other artists: That’ll Be the Day, Not Fade Away, Maybe Baby, Peggy Sue, Well..All Right, Oh Boy and many others. Just plain good stuff. Here’s a favorite of mine, Rave On. Have a great Sunday.